Eradicating any virus including the new fashion excuse to set up FEMA CDC camps, Ebola, is to use nano particles of silver. To kill the malaria parasite on contact requires chlorine dioxide. Both cures are easily made on a kitchen counter. Bill Gates was horrified by Jim Humble’s launch of this miracle cure and damage controlled the situation by heavily funding projects to create a GMO mosquito to carry other infectious diseases. His claim “control their population”. But, how do you create a Faraday cage out of your house to keep you protected from the toxic electromagnetic mind controlling frequency broadcaster towers that pose as cell towers? How about those smart meters? I’ll explain how in just a few, but first let me ask, if cell towers are cell towers, wouldn’t that be a great place to advertise all the various companies? Sure, you’d see “Virgin Mobile, Cricket, Cox, T-Mobile, etc.” stamped, stickered, and screen printed all over the them. They wouldn’t have to make those fake palm trees to disguise them or blend them into buildings. After all, we love our phones and so too those towers for constant connectivity. So, why don’t they just be flamboyant just like with everything else? 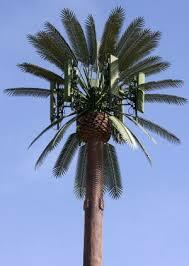 I checked my community to find that there were only 15 certified cell phone towers in Pima County. Meanwhile, almost 1000 towers and buildings with those panels were counted. Hundreds of towers, but under 20 certified? Even if one tower with 18 ‘panels’ had so much as one cell phone panel, then the whole tower would have to be certified… unless there’s something I didn’t catch. People who work in the field tell me I’m pretty much thinking logically without really admitting it. Setting up a Faraday condition best you can helps with high tension wires in close proximity to your home or business as well as the new problem caused by smart meter this and smart whatever else coming down the pike. Dr. Philip Callahan built his home this way, and there are other methods if your creative juice bar is set up to juice. Dr. Callahan wrote 18 books and publications about paramagnetics, actually coined the word, and other natural phenomena during his life and knew that when his house was built in New Mexico, he wanted protection for his family against the EMF nuisance. Incidentally, Wikipedia is very careful about telling the truth and to prove it, you will not find Phil Callahan listed anywhere on that page. He said that it was because his knowledge would crush the mind control protocol. How did Dr. Callahan protect his modest home? Here’s how. I queried Dr. Callahan as to how he did it and all he said was, “very simple”. My eyes rolled. “Please, we youngsters (he was 94 when I met him at 48 at the time), need to know what to do. “Well, it’s utterly simple. I stapled hundreds if not a thousand sheets of sandpaper to the framing and roof. It’s the quartz glued to the paper that does it. You’re literally creating a home made orgone generator“, he said. So simple. I asked if he took readings in and out to test the theory. His answer was “of course.. you feel better anyway so there’s no need to measure. I think I’m as old as I am for it”. The most important element he suggested was to replace any galvanized material from the windows with rusting iron oxide decor for the reason the paramagnetic quality of iron promotes longevity. “A calf that is branded rarely gets sick during its mature life. Any rancher worth his salt will tell you that. It’s because of the iron particles welded to the skin for life that promotes electromagnetic health like having a constant magnetic therapy”. He also noted that many government buildings where high profile people belonging to the secret societies have rusted iron oxide facades and decor “it’s the new architectural fashion” for the specific reason regarding their desire for eternal life. 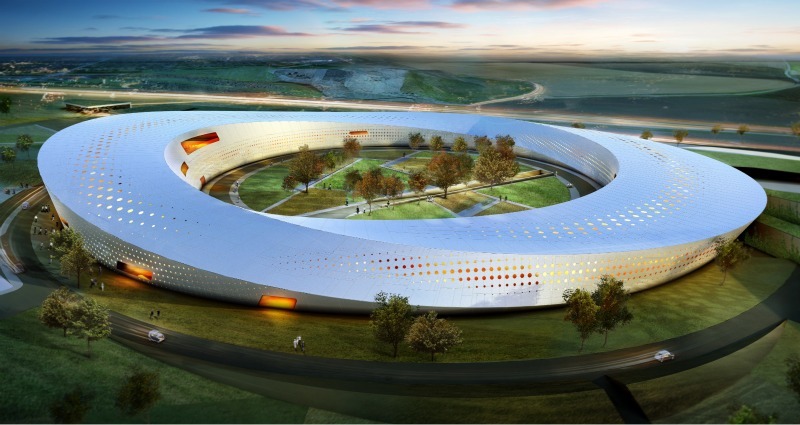 Nobody has the money to build a Faraday home like this! What does this mean for you and me? Well, we can’t build new homes because we’re all broke, so we have to get creative. A quick start would be to locate the nearest fake cell phone tower array and or high tension line and paint that side of the home or building it faces. You would mix ground quartz from granite stone and quartz crystals or magnetite if you can get it with a paramagnetic value of 19cm gram per meter rating. Do not be confused with paramagnetic paint. The marketed as paramagnetic paint used in the automotve paint industry has to do with electroilluminescence. Electroluminescent paint works on electroluminescent principle or electroluminescence and is the result when phosphoric pigment dissolved in a carrier is sandwiched and powered between two conductive film layers or electrodes. Quarts is different in that it traps, or cages, EMF radiation stopping at your walls. 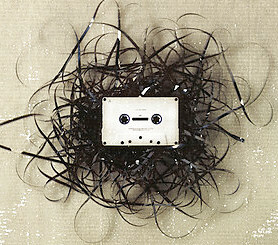 Another way to stop the radiation is to create what is known as mobius loops using old fashioned VHS tapes. It’s preferable to use BETA MAX tapes if they’re available to you. A mobius cage effect is made by taking a flat piece of magnetic ribbon and connecting it end to end with a half twist to the LEFT turn (180 degrees). This means that there is not a full twist of the tape, but a half. It is similar to putting your belt on with the same half twist where the back side is fastened and not the front. When you see that, you untwist to make it right. 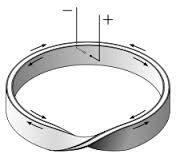 How it works is that a field that penetrates the loop instead hits a side of the ribbon and then travels along it instead of straight through. It continues in an infinite looping because of the twist. The signal rides along until it dies off in a perpetual condition of looping. It doesn’t matter if the loop is interfered with itself as in the illustration to the right. It is still trapping the inbound signal. Neat! Somehow, you can make many of these as panels by sandwiching the piles of tape between card board. Arrange them on your walls. Cover them with decorations or place inner decorative paneling over it. It may be an idea to ground the tape by attaching a wire to one side of the tape and route the wire way away from your home. Combine it with sand paper for double the insurance. Whatever solution you come up with, I hope you patent it because people really need your help! 1. Your mattress, if it is made of metal springs with a ‘box’ under it that also is spring loaded, acts as a rectangular antenna that collects radiant signals coming from all directions. You can cut a small incision as access to one of the bedding springs which is usually connected to all the rest and attach a metal gator clip connected to a ground wire. This helps to minimize the collected frequencies that are amplified by the collective coil arrangement. We spend 1/3 to 2/3rds of the day ungrounded when wearing rubber soled footwear. We usually sleep 1/3rd of the day with this antenna array between us and the earth’s Schumman frequency of 7.83hz. 2. Have an electrician install a circuit breaking wall switch for each bedroom of your home so that at night while you sleep, the hot wires to your outlets that surround your room are shut down. This way you’re not sleeping within what is known as a dirty electrical circuit field that fluctuates below and above 60 cycles. The spike disturbance effect keeps human life and frequency patterns off kilter. The following video describes the dangers of cellular phones and masts toxicity. If you are a bee keeper, watch this video which describes bee colony collapse, you might try to implement the suggestions of the above article with your hives. Thank you for this post. I desire to experiment with Dr Callahan’s sandpaper method: ” I stapled hundreds if not a thousand sheets of sandpaper to the framing and roof.” Tough for me to envision the process without more input. Because sandpaper wouldn’t last long on a roof if left exposed, may I assume the sandpaper was applied to the roof first, and then covered with roofing material? Would the sandpaper’s quarts-side face the sky, or the interior of the space? Sure.. I think you over did it, but safer than sorry lol! It’s the quartz that’s important and the glue on sandpaper eventually dissolves. You can easily place the paper under the tiles if you have tiles… I’m not a roofer, but you’ll get creative and report back, right? The direction of the paper is of no importance. What you’re placing are weak electromagnetic fields that work like orgone generators they call ‘gifting’ when placed near cell towers to foul them up. Look up orgone generators which are usually those beautiflly crafted poured plastic things that have magnetite, copper, magnets and all that cute stuff that make for an electric field that’s healing, but also disruptive to the repeater tower signals. Funny update Debra.. a long time friend of mine mentioned that he installs those panels and towers. I turned red, but then laughed. “You know what those actually are?” “Yup, but it pays the bills”. I could’ve pulled his head off, but I did that to another friend who went on contract to California to build more prisons. Hypocrites! But they are my friends and if I disowned them, I’d actually have to do that with almost everyone I know LOL. Here’s a tip: Instead of plated metals on your house, use iron that rusts like the old days. That’s healing believe it or not. Ever notice the grass grows tall and healthy around a rusty bucket or something that is assumed to be garbage? It’s the electric magnetic field properties that promote growth and healing. A branded cow for example (I may be repeating what I wrote in that article, but oh well) doesn’t get sick. It’s because iron oxide is welded to the skin for life. A brand, not a tattoo, heals you. Magnet therapy. so, your house with all that will become a ‘healing house’ for the ill, and nobody should be sick living there. That’s a better way of looking at what you’re doing for the reason, inside your house lives cell phones, plasma tvs, and smart meters, etc. Lee!